Full Circle, Driver Charged with DWI from March Accident, LIVINGSTON, July 19, 2013 - A driver who caused an accident back on March 23, 2013 has been placed under arrest by Livingston Police Department and charged with driving while intoxicated. 21 year old Haley Crew of Humble, was south-bound on US-146 that day and caused a 3 vehicle accident when she struck a recreational vehicle, then slammed into another car, she was 20 at the time. Crew was faulted in the accident, and Livingston PD sought a toxicology report on Crew. The results came back and Crew reportedly had a number of intoxicating substances in her system at the time of the crash. See the Daily Arrest Report from July 19, 2013. Officer Brandon Brewer with Livingston PD is the primary investigator. 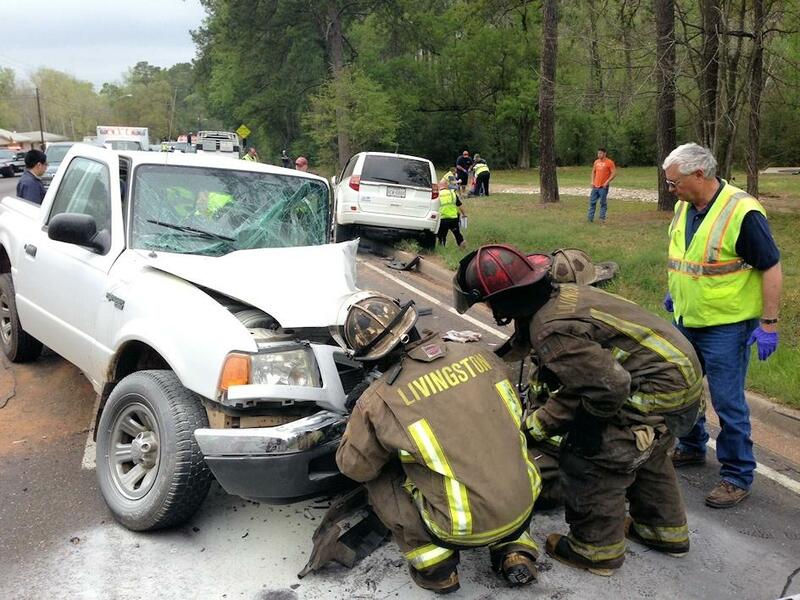 Head On Collision on 146 Hospitalizes 2, LIVINGSTON, March 23, 2013 - At around 1:15 pm on March 23, 2013, a white Ford Ranger driven by Hailey Crew, 20, of Humble was south-bound on South Houston (146). Crew's vehicle veered from the south-bound lanes into the north-bound lanes and struck an International 4400 recreational vehicle driven by Richard McDonald of the Escapees, bounced off the recreational vehicle and slammed head on into a north-bound white Isuzu Axiom driven by Brittany Meeks, 19, of Livingston. All three vehicles came to rest on the north-bound side of South Houston. Americare Ambulance Service was dispatched to the scene along with the Livingston Volunteer Fire Department, and Officers Brandon Brewer, Kaleb Barker, and Sergeant Lewis Milner (all with Livingston PD). Hailey Crew's vehicle caught fire and was extinguished by firemen from Livingston. Crew and Brittany Meeks were transported by ambulance to Livingston Memorial Hospital with undisclosed injuries. Crew transported by ambulance to Hermann Hospital in Houston a short time later. Richard McDonald was physically okay. All traffic on 146 was blocked for most of the investigation and cleanup. According to Officer Brewer, Hailey Crew is facing a citation for failure to maintain a marked lane of traffic, and pending toxicology reports, could be facing other charges. 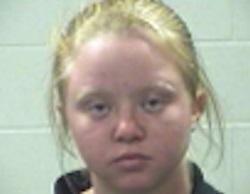 Brittany Meeks was cited for no insurance. A rollback wrecker from Ken's Towing recovered both Crew's and Meeks' vehicles and they will be stored at Harrison Body Shop in Livingston. McDonald's vehicle was recovered by a heavy duty wrecker. Hailey Crew's Ford Ranger sits totaled on the north-bound side of 146 (facing south) after she veered into ocoming traffic from the south-bound lanes. Crew initially struck the side of this Internation recreational vehicle driven by Richard McDonald of Escapees. Crew bounced off the International and slammed into this Isuzu Axiom driven by Brittany Meeks of Livingston. Meeks was directly behind the recreational vehicle. Firefighters from Livingston extingished a fire that had caught in Crew's vehicle (Livingston Fire Chief, Corky Cochran pictured at right). Hailey Crew's and Brittany Meeks' vehicles were recovered by Ken's Towing.